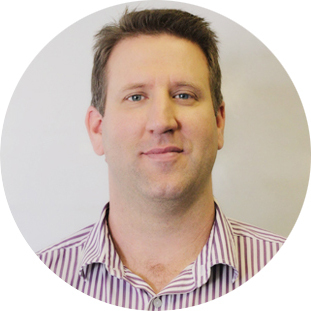 Dr Dave graduated in 2001 from the Royal Melbourne Institute of Technology and for 16 years operated his own family practice in Victoria where he began to find a passion for understanding the impact of Dysfunctional Movement Patterns in sport and everyday life. To put it simply, if you don’t change your ways, you will keep getting the same results. With advanced training in Dry Needling, Rocktape, IASTM and Functional patterning, Dr Dave offers more than just Chiropractic to help in correcting posture, improve flexibility, range of movement, recovery and performance. Dr Dave’s skill sets and experience have led to him becoming a Chiropractor for the CrossFit Games Athlete Support Team that treat elite CrossFit athletes at Pacific Regionals, and he also Heads the Mobility and Rehab Programs for International Masters HQ League. 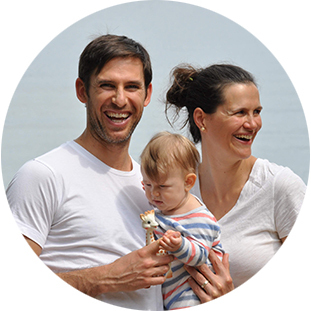 A passionate husband and father, Dr Dave enjoys all things health and fitness with his family from enjoying real food to Yoga, scuba diving and gymnastics. Special clinical interests: sport performance and injuries including crossfit, concussion & neck connection, neck and mouth connection (from breastfeeding, to jaw ‘TMJ’ issues), pediatric spinal health. From a young age growing up in rural Canada, I was amazed at how chiropractic enhanced my recovery from injuries and optimized my performance in ice hockey. This excitement instigated my trek into becoming a chiropractor. I am a blessed husband, and father of one gorgeous little boy. Love exploring life with them, from play, exercise (including crossfit), food, camping, surfing, and everything outdoors. After graduating from chiropractic college in Canada in 2007, my wife and I excitedly moved to Australia and have loved every moment! Since 2010 I have been serving at both Better Back Chiropractic in Oakbank, and Adelaide Family Chiropractic in Morphett Vale. Born, raised and educated in Canada, I moved to Australia in 2000. I spent my first 3 three years here travelling and locumming across this great country, before finally settling in Adelaide. It was here that I met my partner Rebekah and started a family. 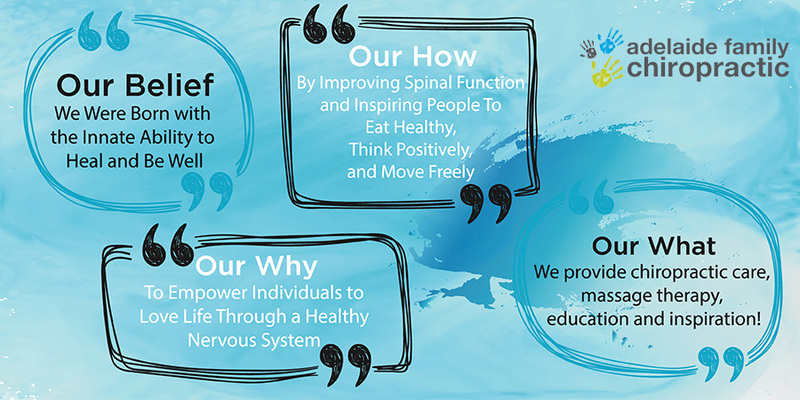 Rebekah and our three sons, Noah, Jack and Jobe, are the inspiration that drives my life purpose... to leave a legacy of chiropractic as a leader in wellness and evidence based care resulting in optimal health for our future generations! I practice knowing the body is a self-healing and self-regulating system. Given proper environmental conditions, everyone has the ability to express pure health and well-being.